Organic. Low salt. Gluten free recipe. No added MSG. Vegan friendly. 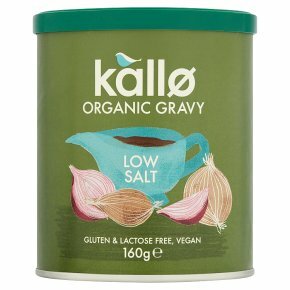 For Glorious Gravy Just add water Put 4 heaped teaspoons (20g) of granules into a measuring jug. Add 280ml (1/2 pint) of boiling water stiring all the time. For a thicker gravy add more granules.